Then last night, it was the college kids’ turn. 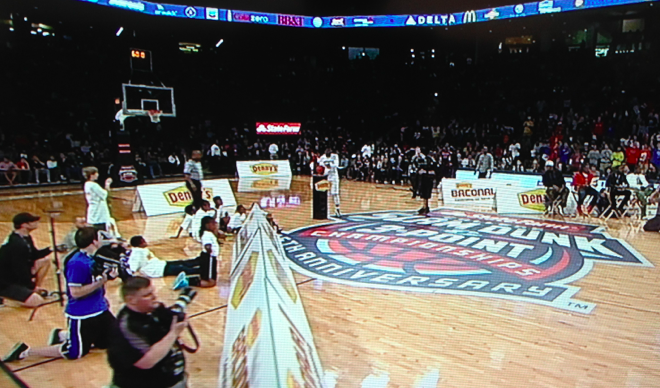 Even before the first dunk was completed, it was clear this would be more exciting than the professional competition. The NBA gives two minutes, which feels like an eternity, especially when you have Nate Robinson attempting dunks 14 times before finally completing one (see: 2006). 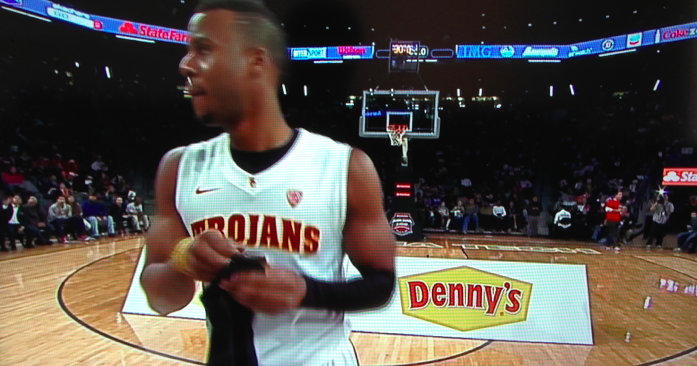 Also, in addition to the shorter time limits, DENNY’S. 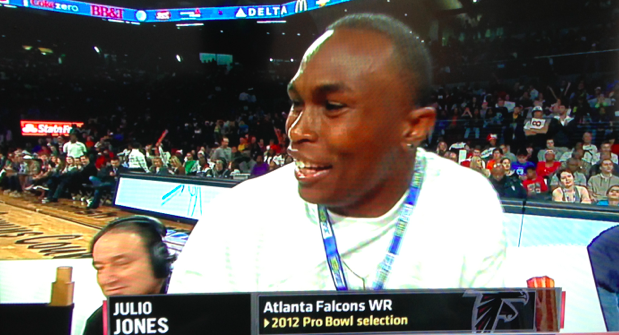 The clear favorite going into this competition was Detroit’s Doug Anderson, and for good reason. He’s just a better dunker than everyone else in the competition/America. And because of that, while everyone else had to prove themselves to approach the perfection mark of 40, he seemed to start at 40 and could only be penalized, should he miss. 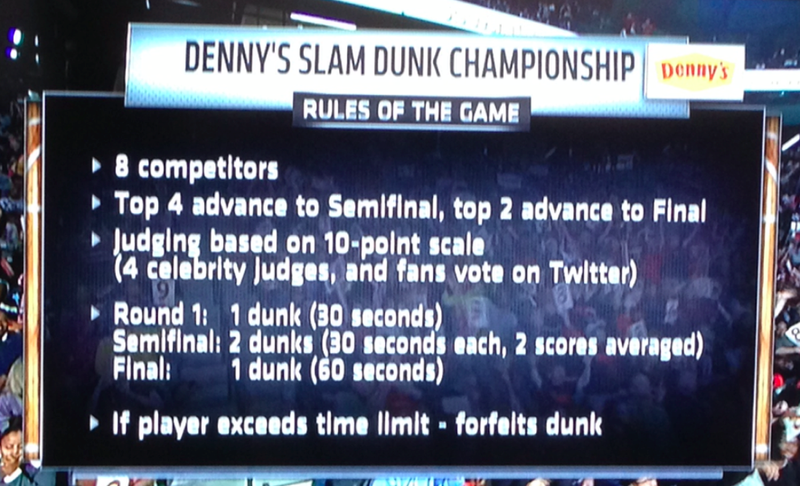 Slightly unfair, but ultimately not that important, because this competition was only partially about dunks. The event, hosted by Georgia Tech, was unabashedly Atlanta. The MC sounded like an And1 Mixtape announcer, the only songs I could make out through the TV were Atlanta songs (“Bring Em Out” by T.I. ; “Spend It” by 2 Chainz ft. T.I. 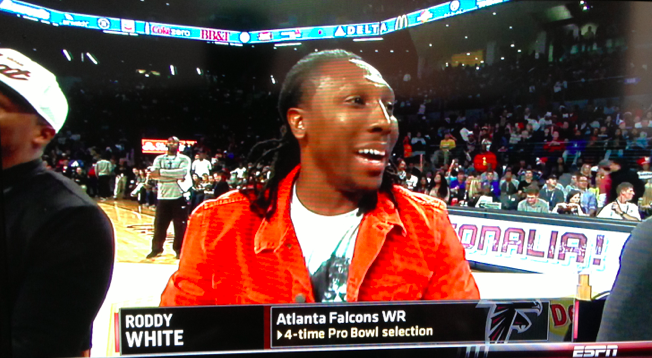 ; “Bugatti” by Ace Hood ft. Future), and three of the four judges were Atlanta Falcons receivers. While fair judges, it was clear they also got the memo about this being Anderson’s contest to win. The other memo they got: BREAK OUT THE ICEY WRISTS. The only thing really worth noting, before getting to Anderson’s first dunk, is the commentary on USC player Renaldo Woolridge. Yes, he’s Orlando’s son, a fact brought up very quickly by the announcers, but what came next was from the field left of left field. What does that mean, please tell me. This is incredible. Any more information before I go lie on a bed of nails? 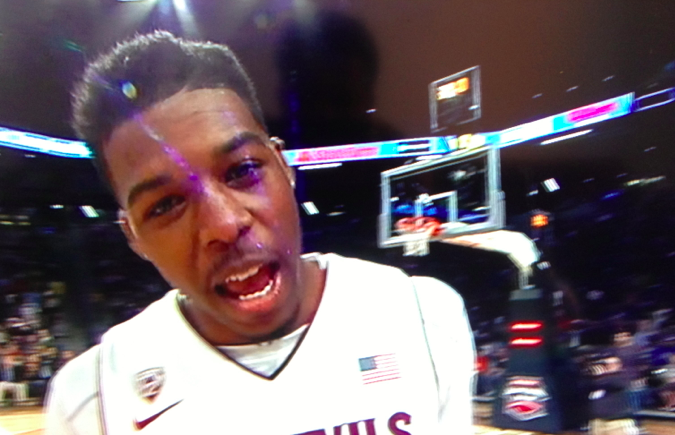 Another dunker worth mentioning is Arizona State’s Carrick Felix, who was easily the coolest guy in the competition. He wore a long-sleeve shirt (awesome), he gave himself a fantastic haircut (we learned he’s a barber on the side), he kind of looks like a young Flex Alexander from Homeboys in Outer Space, and after celebrating one of his great dunks, he pretended he was Waka Flocka Flame, which is exactly what you’re supposed to do. He’s disgusting. 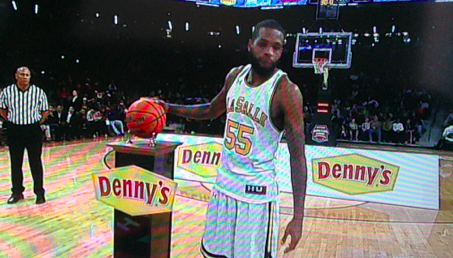 Also, he’s three-for-three on making his dunks on the first try. Just an incredibly efficient, professional performance by Mr. Anderson. And yes, that’s three perfect scores. In the final round, it’s Anderson vs. Felix. Yes, the leader of Swiperboy Entertainment has finally been eliminated. To his credit, in defeat, he did stand by his zone, stay by his zone, and swag by his zone until the very last moment. 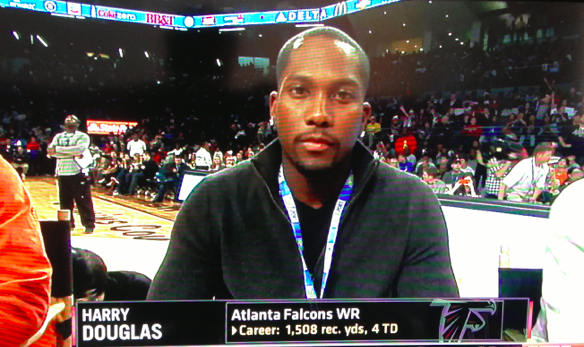 How did the Falcons take it? 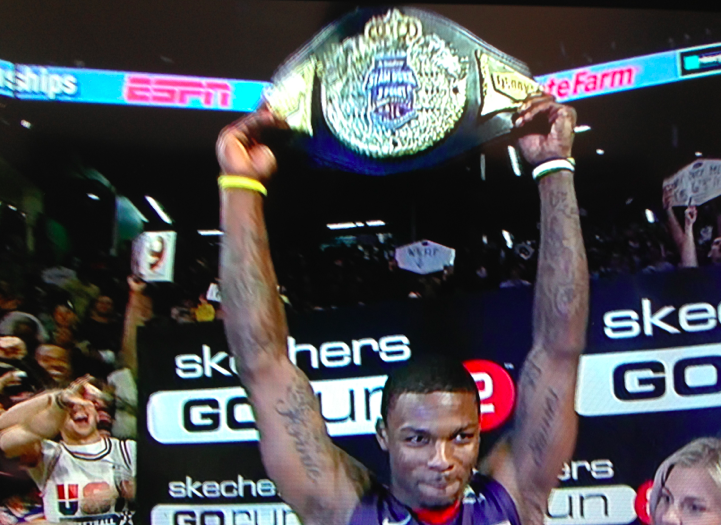 DOUG ANDERSON GOT A WWF DENNY’S BELT. There is no greater victory. 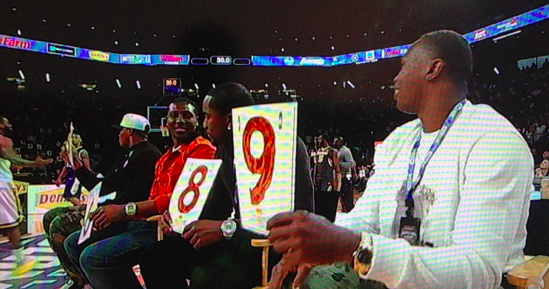 CourtVision: What's Gotten Into John Wall?